South Australia is home of Barossa Valley, McClaren Vale, Eden valley, Adelaide hills, Coonawara, and more lesser known wine regions. With the proximity to Adelaide, it's really easy to have access to Adelaide as your base. During my trip to Australia earlier this year, I was really excited to check out Adelaide and Barossa Valley. The most famous wine region in Australia. Shiraz, Cabernet Sauvignon, Merlot, Riesling, Sparkling Reds (really ??!!! ), and other different grape varietals and types of wines are made in this region. I have to be honest with you, I was not such a big fan of Australian wines prior to this trip. But I always am the curiosity seeker and wine geek so I really wanted to see, taste, and experience Barossa Valley. I'm so glad I did because I tasted some lovely Shiraz, Rieslings,etc. AND the most interesting sparkling red wines using Cabernet Sauvignon and Shiraz. I had never tasted a sparkling red wine before and found the Shiraz to be a little too heavy on the blackberry flavors so it reminded me of sparkling Ribena (a blackcurrant juice brand that is popular among children). I also tried some unconventional wine blends that would make Old World winemakers nervous. Yes, they blend French grapes with Italian grapes or Spanish grapes. The winemakers and representatives I met on my day tour were really passionate about their trade and their wines. Experimentation is encouraged in Barossa Valley. The proximity of all the famous wine regions in South Australia makes for easy transport of local wine to the wine bars really easy. But what I loved about the wine bars I passed and the one I visited was that the staff were really knowledgeable and passionate about wine. The guests were wine enthusiasts and wine geeks. 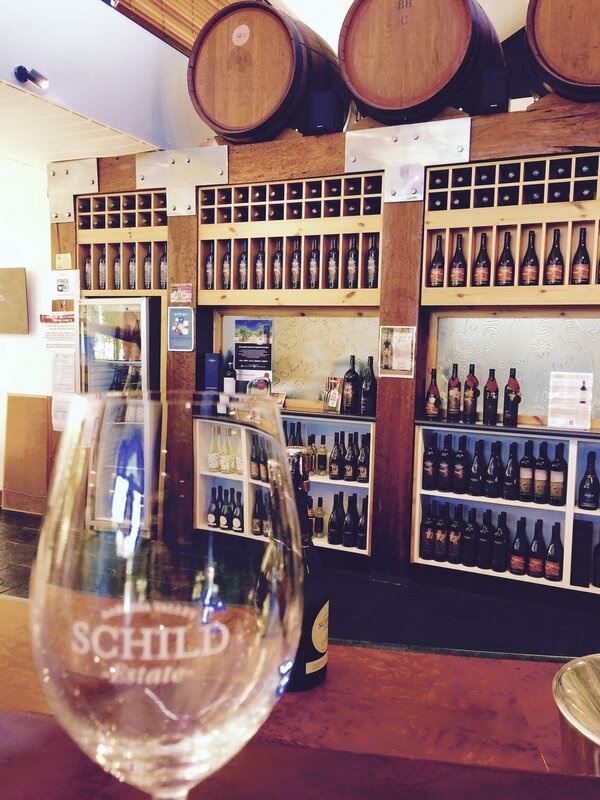 Because South Australia is known for wine and there are so many regions to discover! Did you know that there are over 200 cellar doors in this region! Adelaide is the Australian equivalent of visiting Bordeaux where the best wine regions are within a short drive away. You can also find lots of day tours to the different wine regions so you can make your base in Adelaide city and then book wine tours for every single day of your visit. I highly recommend this! Especially if you want to imbibe a little vino; you already have your guide, transportation, and you might make some new wine loving friends on the tour. 5) Everyone speaks English and the wine from South Australia is written in English! This one is supposed to be funny ;-) As much as I love French and Italian wines. I'm always trying to decipher the wine labels in French, Italian, Spanish, German that its so refreshing to see English on the labels. My favorite souvenir from Adelaide is the bottle of Shiraz from Kies Family Winery. Tasted like cocoa, vanilla, cinnamon, anise, coffee, dark chocolate, blackberry, sweet, medium to full bodied, medium finish. It would pair nicely with some game meat, or roasted root vegetables in a Japanese curry (something with turmeric). I can't wait to go back to Adelaide to explore more of the wine regions. There are affiliate banner links to recommended products on Amazon throughout this post. If you click on the links and purchase the item, a commission will be made at no additional cost to you and support this blog.